Toronto Police say that in 2018, 1116 people were arrested for impaired driving related offences. And now, impaired drivers will be impacted by new legislation that came into effect this week. Up to this year, the maximum fine for a contravention of the act was $500. Those with a G1 or a G2 licence will have even stricter rules: They may face a 30-day licence suspension after their first offence and a 90-day suspension after their second. If there’s a third offence, their licence could be cancelled. There will also be increased fines for impaired driving and failing to yield for pedestrians at crosswalks and signalized intersections. New regulations also allow law enforcement to demand a breathalyzer test from drivers, even without reasonable suspicion that they have consumed alcohol. Refusal to submit a breath sample could lead to a criminal offence and a mandatory minimum $2,000 fine. 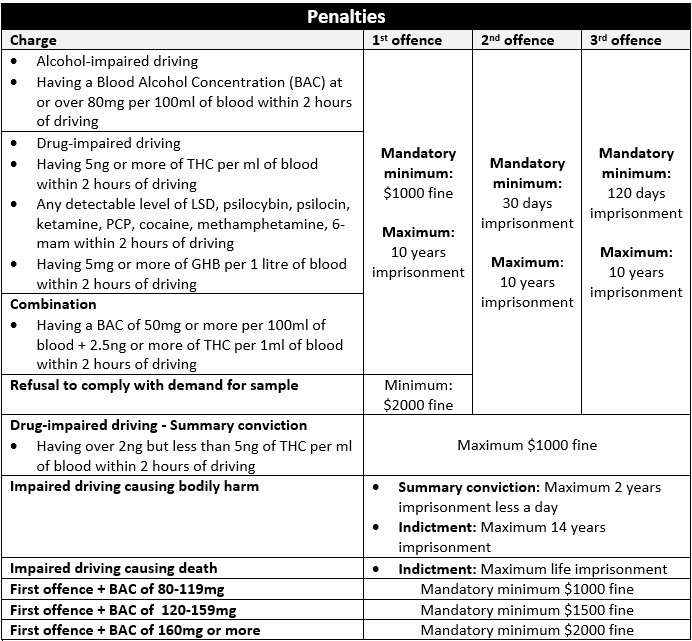 According to the federal government, impaired driving is the leading criminal cause of death and injury in Canada.